The CSSA has Officially Moved! 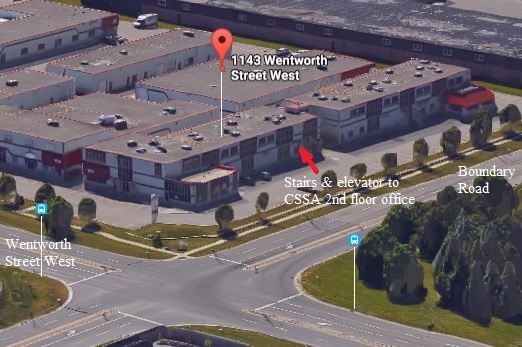 OK… The Canadian Shooting Sports Association actually moved it’s main office from Etobicoke to Oshawa on December 1st, 2017. Some may be asking why the office changed locations, and the reality is summed up by one simple answer. Cost of Operations. While the actual address is on Wentworth Street West, the closest entrance to the second floor office is on the Boundary Road side of the building. The toll free number has remained the same @ 1-888-873-4339, but the local office number has changed to 1-905-720-3142, and the FAX number has become 1-905-720-3497. Plus a multitude of others I have missed. Which when you consider that the attendance at its peak was around 50-60 people in the office at one time is understandable. The gathering was chaotic, warm, and loads of fun! The event was amazingly well attended overall and was a very positive reinforcement that the CSSA has the support of many in the firearms community as well as the firearms industry. Kudos to the Canadian Shooting Sports Association for their past and current efforts and may there be success and even more positive initiatives that firearms owners can look forwards to in the future. If you were at the open house and TPF missed listing you or you know someone who was missed, please feel free to send us an email on the contact page and we will add you and your website link. P.S: I have heard that the CSSA’s AGM will be held on the weekend of April 22nd in Saskatoon, Regina. Hopefully we will see you there! This entry was posted on February 6, 2017 by M. Duynhoven. It was filed under CSSA, Politics, Ranting & Raving and was tagged with 2017, canadian, CSSA, firearms, Open House, Oshawa, reception, Shooting, TPF, TPF-Online.